How do I track my Asendia shipments? Like all postage purchased through Chit Chats, tracking updates will be displayed on our public tracking pages and within your account for your Asendia shipments. Alternatively, you will be able to search for tracking using your shipment tracking number on Asendia's website. You can find your tracking number in your account by clicking on the shipment. Final mile delivery for Asendia shipments is handled by local partner carriers in the destination country. Depending on the country, tracking updates may also be available through partner websites such as USPS, or Swiss Post. For Asendia Priority Tracked shipments, you will be given a partner carrier's tracking number and/or you will be linked to partner tracking via Asendia's tracking page. We strongly advise following your shipment's delivery through each carrier's website for the most current tracking information. 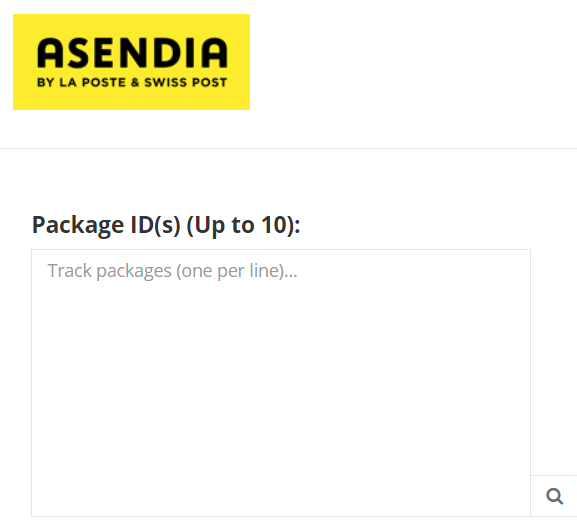 For example, you would follow tracking for a shipment to Japan in the following places Asendia > Swiss Post > Japan Post. Please note, tracking updates in the destination country are not available for Asendia Priority Airmail shipments as this is a partially tracked service.